I picked up a large jar of raspberry preserves at a local ethnic food store. It has been a while since we had any so the moment we opened that jar it sent my vSO and me down memory lane. In our childhood there were no mass-produced fruit preserves or jams. The only way to get those was to make them during summer when fruit and berries were in season. City dwellers had a limited access to any produce so each family would make just a few jars. Usually those preserves were saved for winter, when you couldn’t get almost any fresh fruit. In mental hierarchy of preserves those made from raspberries were probably on the top. 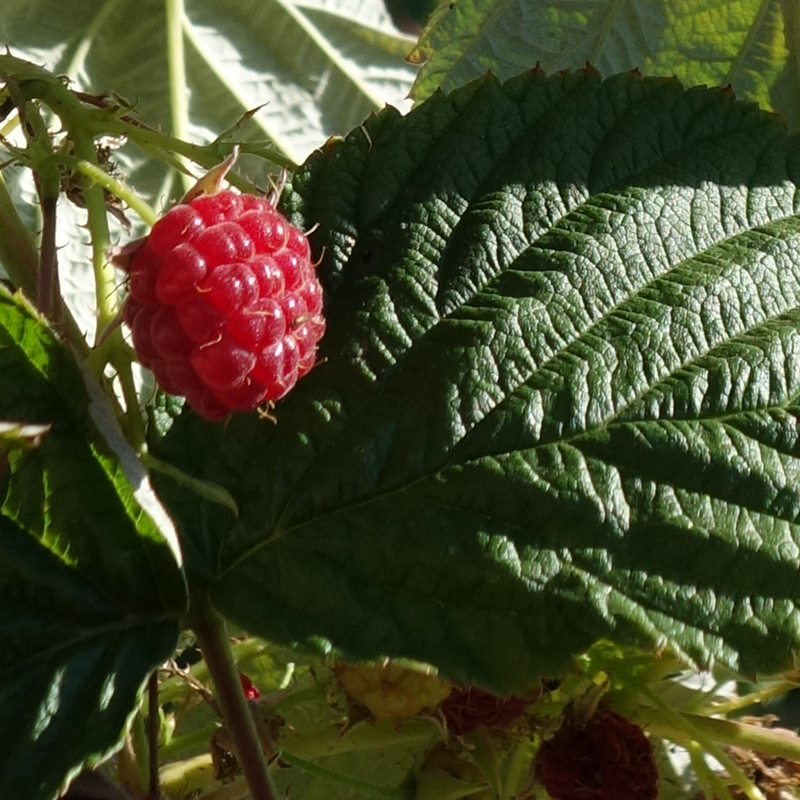 Not just for their taste or because raspberries were more expensive than some other berries, but also because raspberry preserves were believed to serve as a natural cold remedy. So even in winter we normally didn’t get to eat raspberry preserves “just because.” But once you got cold, the sacred jar would be summoned from the depths of the storage cabinet and you’d be treated with (and to) a cup of hot tea with several tea spoons of raspberry preserves in it. I’m not sure if it worked or not but it was the best part of being sick. Well, after not going to school, of course. And getting to finish preserves in the open jar after you got better. I remember that distinct aroma of raspberry coming from the cup. It was so strong that it would get through the worst nasal congestion, which I cannot say about the content of the jar I bought recently. I don’t know what torture those strawberries went through but they had completely given up their identity: with my nose almost pressed against the opening of the jar all I can get is a faint smell resembling raspberry. My vSO couldn’t smell anything at all. 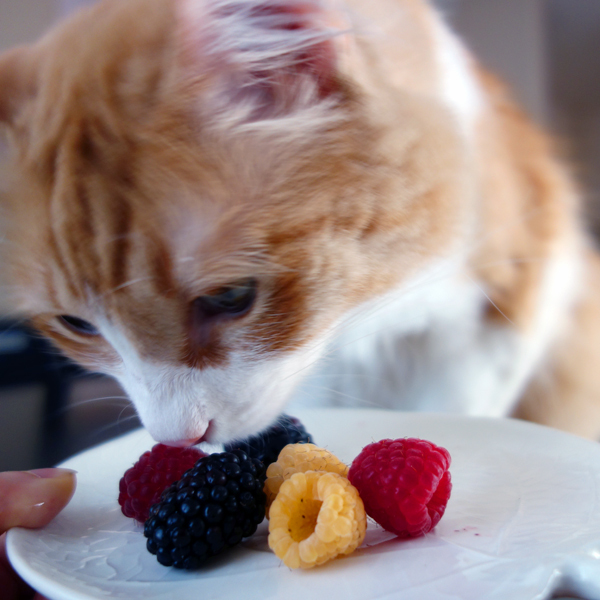 We didn’t test it on Rusty since all he has for the point of comparison is a raw raspberry. I could keep looking for better preserves/jam (and I might still do it) but meanwhile I decided to concentrate on perfumes featuring raspberry note. When I read notes for Russian Tea, created by Julien Rasquinet for Masque in 2014 (mint, black pepper, raspberry, black tea, magnolia, immortelle, leather, incense, birch and labdanum), I was excited, partially because of that association with tea and raspberry preserves. I even bought a sample! Isn’t that a recipe for a disappointment more often than not? Russian Tea starts promising: I can smell a little bit of black tea and even some mint. But that’s it. I can’t smell raspberry at all. The rest of the perfume development is mostly birch tar and smoke. Since I do not plan to do a post on this perfume, I want to use this chance to say that I find the whole story for the perfume bizarre: Russia has never been known for its tea and there is no special significance for either this product or tradition of drinking it. OK, maybe using samovars in the past can be considered a distinct and distinguishable tradition but still 5 o’clock tea it’s not. 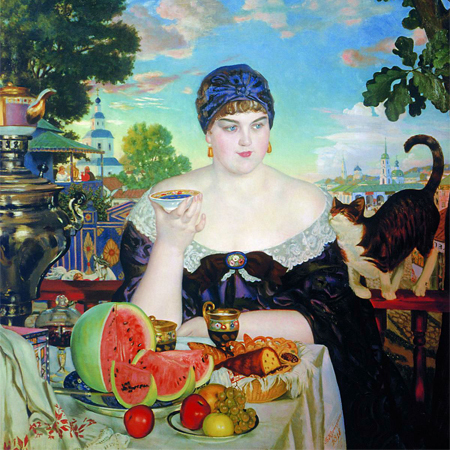 The only association I get when I hear “Russian tea” is Kustodiev‘s painting Merchant’s Wife (the original name in Russian is something like “merchant’s wife drinking tea”). In the first post of this berries series – the one about strawberries – two people mentioned Ambre a Sade by Nez a Nez and one of them – Susan from now closed FineFragrants – even sent me a sample to try. While strawberry note is the most prominent berry in that perfume, raspberry is also noticeable and, in general, it’s a very interesting and quirky perfume. Too bad it seems to be discontinued. If you haven’t tried it, you can read Suzanne’s (Eiderdown Press) post Ambre à Sade by Nez à Nez: Berry Unexpected to see what you’ve missed (and to learn what Marquis de Sade’s wife would bring him to sweeten his time in prison). Birgit (Olfactoria’s Travels) attracted my attention to Parfumerie Generale‘s Brûlure de Rose almost four years ago (if you haven’t tried the perfume yet, you should read her review… on the second thought, even if you tried the perfume, read her review anyway). I got a sample, tried it several times, liked it – and completely forgot about it. I tried it again several days ago and was amazed by how much I liked it. It’s beautiful on all stages – from the lemony rose in the opening to the warm ambered drydown. I’m not sure I’d recognize raspberry in Brûlure de Rose without reading the notes (Brazilian rosewood, amber, musk, raspberry, vanilla, cacao and rose) but the berry part in this perfume is a very mature one. And since my sample is empty, I think Brûlure de Rose will be added to my “to buy” list. My absolutely favorite raspberry perfume – the one that isn’t ashamed of its association with raspberry – is Une Rose Vermeille by Tauer Perfumes. It is so powerful that sometimes I choose to wear it from a dab vial – even though I own a bottle, which is a little ironic knowing Andy Tauer‘s views on the importance of “the flacon, the packaging, the hand written note” for the complete perfume experience (for those few who weren’t around a couple of years ago, more on the topic in my old post Perfume Bottle Splitters: Friends or Foes?). I can’t say that I love Une Rose Vermeille but I like it very much and it’s one of my mostly complimented perfumes. 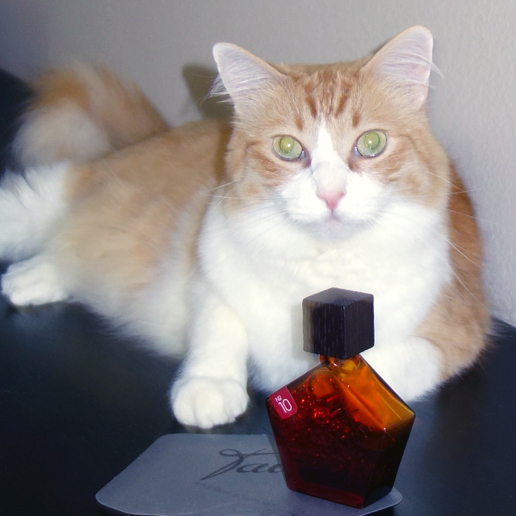 I’ve tried several more perfumes that feature raspberry note. Courtesan by Worth is nice but I’m not sure I’d recognize it if I smelled it even a couple of hours after I wore it. If raspberry is in there, it contributes to the general “fruitiness” and sweetness. By Kilian‘s Back to Black definitely has raspberry but, as many other perfumes from the line, is unpleasant on my skin. And Rose Oud by Parfums De Nicolai, for my nose, doesn’t have any raspberry and is very unpleasant on my skin. Do you have any favorite perfumes with prominent raspberry note? Do you have any favorite raspberry preserves/jam brand? Images: Merchant’s Wife from Wikipedia; the rest are my own.